Are managed IT Services right for my small business? Managed IT Services have historically been marketed toward mid-market and enterprise level companies for a good reason: running an IT department is time-consuming and difficult. Often, you will find that IT expenditures are the single most considerable expense a business will be subject. Not only will companies see that it is expensive to run an IT department, but HR issues also abound. Staffing is a primary concern with any technology outfit: it’s difficult to find qualified candidates, and even more difficult to retain them. Key employees vanish overnight at the hint of a better offer, and you’re left scrambling to fulfill your IT services needs. Rinse, wash, and repeat: this is a never-ending battle, and an outsourced model works particularly well to resolve it. 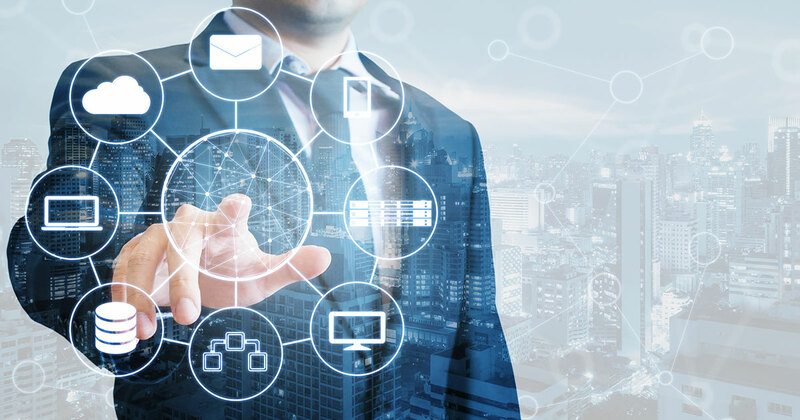 Many large businesses today are completely handing off their technology infrastructure, services, and support to third parties; they can forgo the burden of running an IT department and focus on their core business instead. Small business, on the other hand, can be insulated from such troubles. After all, many small businesses start by acquiring off-the-shelf computer and networking gear and set it up themselves. A few frustrating days of support calls to various vendors, and you’re up and running! Not so fast: there are a ton of threats out there. From random hardware failures to cybercriminals looking to make you a victim, the risks to your small business technology deployment are seemingly endless. Not only that, but they’re very easy to ignore. Your Quickbooks will run just fine, and having not been backed up in a year and a half doesn’t bother it one bit. If a malicious actor has gained access to your system, would you notice? Unless they come through like a bull in a china shop, you likely will not. It used to be the case where cybercriminals would do just that – break all kinds of things to display an ad at you while causing all types of performance issues and annoying behavior, but today, they’re much more cautious. They know full well if they break that computer or cause the end user to be frustrated, that they will find that computer in for repair which is a “Minus One” on the scorecard. So instead, they’re now using high-quality software that works well and does not degrade performance. They’ll still serve you with ads, spy on you and relay valuable information back to headquarters. So, it is easy enough to see that while everyone knows setting up a computer and installing some software is easy, doing so safely and securely with problems mitigated before they cause a problem. Working with a wide array of small businesses allows a managed IT services provider to know what is likely to fail and cause users productivity problems and prevent them from occurring in the first place. Business “A” has just started up. They know they need a few computers, a printer to share and a backup. They could opt for the frustrating do-it-yourself, or hire it out. If they’ve hired a standard IT firm, they’ll come out and get everything up and running in short order. The manager knows better and has asked them not only to network your computers but also set up security and backup, and they’ll do that. Once they leave though, you’re on your own. Did the computer get moved and the backup drive unplugged? Did the network backup power down with nobody noticing yet? Has the antivirus expired? Are criminals now running roughshod over your private business client data after your part-time help decided to kill some time playing online poker and infecting your computer with malware? Did you know that some ransomware actors have been known to disable backup systems – as well as the alerts to failure, letting it ride for some time until they encrypt your files and demand a ransom payment? If this all comes to a head, I wish the best for you, and Collett Systems will work tirelessly to bring you back up, but if someone else in charge of the network has made a change which disabled your backup last year, we might be out of luck. Business “B” sought out computer network expertise to bring his small business online as well. By chance, the manager happened to choose a provider that specializes in managed it services for small business. Managed services are a bit different than standard break/fix computer and network services. An experienced business technician will sit down with you to determine your goals. Armed with those goals, your software and network environment will be set up from day one to not only get the job done but to do so reliably and safely, no matter what comes down the wire. This is typically a one or two million dollar question. By signing a contract for specific work and performance targets, Business “B” places all the responsibility for providing a functioning technology environment on a capable third-party MSP. The manager worries about pushing his business forward, not about the backup or the news story last night detailing this week’s latest computer security horror show. A qualified provider offering managed services for your small business will be able to offer you every service your business needs to be successful at price points which won’t break the budget. When you sign on an MSP (Managed Service Provider), you shift the risk to a qualified partner who knows how to mitigate it, while carrying insurance policies which in addition to protecting the provider, also protect the contracted client from errors and omissions (E&O) on the part of the provider. I mention that as a side note because many providers are not carrying insurance which backs their claims – you need to ask for it. Not having it is a red flag, we will detail the ins and outs to consider in a future post. From top to bottom, we will take responsibility for any of the following on a flat-rate basis. We are local to your business. We can dispatch a technician to resolve your issue while you go about other tasks. Rather than rely solely on remote support services for support, we believe it is essential to maintain a physical presence and minimize the support impact on your staff. Having a reputable MSP isn’t inexpensive and will likely cost a small business a few hundred dollars. A business with five users, each with a desktop and a few mobile devices, a few printers on a local business network with reliable wifi will run about $250.00 per month. There are variables there, but that is a good basic estimate. Compared to a one-time break/fix visit to unjam a printer out of contract at $250, this is a great bargain. Your printer will be kept online and running. Additionally, all of the other management benefits to keep you running well on top of it. All the IT support and maintenance you need at a flat rate will save you big money or big frustration while gaining efficiency in your business. Small business owners should strongly consider investigating what a Managed Service Provider can do for their enterprises. If your business is leaning on IT Support heavily, or you’re spending a ton of time troubleshooting tech problems yourself, an MSP can improve your position. An MSP will keep you on the right path as far as security and productivity are concerned. We have been there and done that concerning new startups and know what works and what does not. Getting on contract as you start your new business is a great way to ensure you’ve got a strong tech partner in your corner. Check out this Business News Daily article detailing the Pros and Cons of a Managed IT Services for Small Business or fill out the form to the right – let’s get started!